This article is written by the engine room’s Tin Geber and was originally published on the engine room blog. Tin coordinates the DataShift’s in-country direct support to help civil society organizations improve the planning and implementation of their citizen-generated data initiatives. What do you get when you put Kenyans, Tanzanians, Argentinians, Nepalis, Croatians, Canadians, British, North Americans, Romanians, Mexicans, Peruvians, and Brazilians in a room to discuss citizen-generated data for two days — apart from the worst joke setup ever? In the last week of April 2016, engine roomers Anca Matioc and Tin Geber travelled to Bogota, Colombia to helm La Reunion, a workshop to reflect on the DataShift program’s work so far, participate in the International Civil Society Week, and drink some of the best coffee in the world. The biggest challenge we found was connecting the Global Goals concept with the work done by the NGOs on the ground. Our participants fear the ‘Goals’ agenda might be too elusive and high-level to be practically useful for shaping their work. It doesn’t help that indicators have still not been finalized. Another risk is that grassroots organisations might be doing too good of a job: what if there is a clash between what they consider meaningful, and what Global Goals are measuring? Probably the most important session was on understanding the challenges citizen-generated data initiatives face. We know working with data is already hard: adding Global Goals into the mix raises the complexity to 11. How can we really understand these challenges? How do they cut across a huge array of issues, geographic and cultural peculiarities, at such a massive scale? Well…we decided to ask the people who know best. The participants’ comments encapsulated this variety, and there were some common themes. They often mentioned difficulties in aligning methods, ensuring representation, and building strong partnerships. On the more practical side, funding as well as capacity building had a strong presence. The presentations of our partners’ work showed that the data revolution is happening, and it’s more than just hype. Civil society has the means and the chance to contribute quantitative and qualitative data to the Global Goals narrative. But it’s not that simple. We are at a very early stage of making the link between grassroots projects — with their own focus and agendas — and the larger picture of national and international monitoring. The DataShift program can’t provide enough support for the dramatic shift in global civil society’s capacity and approach that is needed by itself. Still, it does suggest a strong, practical way forward. Community is key. This one is a no-brainer, and the most exciting result of the event. Seeing such a mixed and varied group from dramatically different contexts and cultures slide easily into collaborating confirms our belief that building relationships across national and thematic borders is possible, and vital. Just as the Global Goals make a united push for equality on a high policy level, grassroots national organisations can create their own networks and learn from their peers, no matter where they are. A wonderful example comes from Nepal’s Local Interventions Group (LIG), which is conducting a “Follow the Money” program to track how governmental aid is spent for post-earthquake relief efforts. After LIG’s presentation of their project in the International Civil Society Week, an organisation from Ecuador approached the DataShift team, wanting to replicate LIG’s work in their own situation. This proves the point that un-siloing experiences can improve civil society across the world. We will do our best to make this collaboration happen. The DataShift has commissioned original research and provided direct support to NGOs working on collecting data in the three pilot areas (Argentina, Kenya/Tanzania, and Nepal). We are collaborating with an impressive array of people whose work spans health, education, urban mobility, disabled persons’ rights, disaster recovery and more. Our goal is to find practical ways to link the Global Goals agenda with local projects. We do this by strengthening their capacity and tech culture to produce meaningful, comparable, and methodologically sound data – so they can hold governments accountable for their commitments to the Global Goals. Now it’s learning and replicating time. The first phase of DataShift has officially concluded with the Reunion: we will now return to our desks and think hard about what worked and what didn’t. Then, we’ll plan for a second phase that will try to address what we’ve learned until now. Great things are ahead. No-one can communicate the importance of citizen-generated data better than those who are actually working with it. At DataShift, we want to highlight the civil society organisations who have told us about the tangible results they have achieved through innovative approaches to harnessing data from citizens. These results can take any number of forms. For a woman in India who has experienced abuse online but who is unwilling to report it to the authorities, a citizen-generated data initiative represents an opportunity to reach out to others in a similar situation. As another example, in the aftermath of a humanitarian disaster, maps created by citizen-generated data is the reason that international aid agencies have been able to get help directly to those in urgent need. We could endlessly list the range of people-powered data projects that are making a difference to people’s lives, but we decided that it would be better for you to hear it directly from the organisations themselves. Gathering together a number of firsthand accounts, we have put together a collection of essays that we are calling: “Creating and using data that matters: how different sectors are harnessing the power of the crowd”. Each essay profiles the objectives, challenges and targets of an organisation using data generated by citizens to achieve their goals. Contributions from Take Back the Tech! and The Ladies Finger show the role that new technologies can play in gender equality and advocacy work worldwide. Citizen-generated data has helped each of them push taboo subjects, such as sexual violence or tech-related violence against women, to the top of the political and media agenda. Our contributions come from a range of geographical locations, and many of the initiatives profiled here have an enthusiastic approach to cross-border collaboration. Writing for DataShift from the Humanitarian OpenStreetMap Team, Heather Leson shows us how developing community maps can allow people from different countries to come together and contribute to a common goal – better data about areas that may be vulnerable to crises. Some projects in the collection are organised and run entirely by citizens in a small, local community. Science for Change Kosovo, for example, is collecting air pollution data that fills in gaps in official statistics – gaps that the Kosovan authorities could not fill themselves. Not all our essays come from young, grassroots organisations. Amnesty International’s senior innovations campaigner, Milena Marin, outlines plans for a micro-tasking community that will help Amnesty with practical, remote research. Tasks like scanning satellite images that would normally take one researcher days, even months, to complete, could now be analysed rapidly by large numbers of online volunteers. If we are able to find ways of collectively contributing to broader social goals, the potential for impact is huge. Media outlets are also increasingly incorporating citizen-generated data into their work. In Argentina, the data team at the La Nacion newspaper has introduced many citizens to the concept of open data through their collaborative data platform ‘VozData’. The results they have achieved have encouraged them to continue working towards a time when transparency and accountability are fully absorbed into Argentina’s political infrastructure. The need for a workplace culture change is perhaps most strongly illustrated by Sam Dubberley’s contribution from Eyewitness Media Hub. He describes the abundance of citizen-generated data, in the form of audiovisual media shared on social networks, and points out the need to reconceptualise the way in which we consume and distribute it. The fact that the people behind many of these projects are consciously discussing the ethics of the way that data is used and presented is heartening. We hope that the essays in this collection can help more people feel more confident about asking questions of the data that affects their lives, and taking a hands-on approach to creating it. We would love to get your feedback on the themes they address – get in touch! In this session, we will be exploring how citizen-generated data initiatives can accelerate progress towards the Sustainable Development Goals, with a focus on examples from Nepal, Argentina and East Africa. How can the new Global Partnership for Sustainable Development Data help ensure civil society is at the forefront of a Data Revolution? In this session, we will be discussing the Global Partnership on Sustainable Development Data, a new initiative that CIVICUS and the DataShift team are engaging in to ensure civil society and citizen-generated data are recognised as and supported to be integral actors in a data revolution for sustainable development. And on Saturday 23 to Sunday 24 April we are also hosting a DataShift community gathering we’re calling “La Reunión.”​ This event will bring together our core community of partners and collaborators to share lessons and experiences. We look forward to sharing what comes out of this gathering in our blog, so stay tuned! Want to connect with us at ICSW? Send us an email or tweet using our hashtag #DataShift. Looking forward to seeing you in Bogota! We’re excited to invite you to join us for a webinar on: How citizen-generated data can accelerate progress toward the Sustainable Development Goals. This webinar is being hosted on the Global Partnership for Social Accountability (GPSA) Knowledge Platform on May 5, 2016, 10:00 am EDT (find your timezone here). Doubts remain about the degree to which the ambitions of the Sustainable Development Goals will be matched by accountable delivery on the ground. Indeed, according to Amina Mohamed, the UN Secretary-General’s Special Adviser on the SDGs, “accountability” is “the one knot we haven’t tied”. In this webinar, Jeff Hall, freelance consultant, and Cassia Moraes, DataShift, will explore the ways that citizen themselves can contribute data that accelerates the accountable delivery of the Sustainable Development Goals. 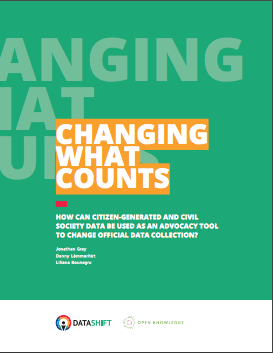 Through case studies and practical examples, the speakers will examine the complementarity of citizen-generated data and national statistical data, the importance of “perception-based” data, the contribution of citizen-generated data to more equitable service delivery, and practical value of citizen-generated data at the local level. → For more information and to register for this webinar, visit the GPSA Knowledge Platform website. Join the subsequent e-forum on this topic May 5 to 19! Participants will be invited to share their own examples of citizen-generated data, challenges, and ideas for further collaboration through a two-week e-forum that will be hosted in the GPSA Knowledge Platform starting May 5th, after this webinar. We look forward to discussing this important topic with you in May! The 47th Session of the United Nations Statistical Commission meeting held in New York in March 2016 was a critical milestone in defining the next steps in implementing the highly ambitious Sustainable Development Goals (SDGs) across the world. Once completed, a whopping 169 targets and 230 global indicators are expected to set milestones for implementation and monitoring progress towards the SDGs across a broad range of sectors. Even as work on the targets and indicators is finalised by the Inter-agency Expert Group on SDGs (IEAG-SDGs), implementing and realising progress on the SDGs will not be easy. Significant energy and resources will be needed at the country-level to translate them into action. They will need to be contextualised, with countries further developing additional national targets and indicators to fill any existing gaps. Citizens, in particular, must be mobilised to understand the promise of the SDGs and develop frameworks that would enable them to hold governments to account for results. Civil society, private sector, and development partners will also need to align their priorities with those of the government not only to support implementation, but also conduct independent shadow monitoring and reporting on progress – or the lack thereof. Prior to this meeting in New York, the development world waited anxiously for the final list of targets and indicators. Focus has now shifted to the national-level, where citizens eagerly await the results from the global commitments. Unfortunately, the challenges we face today require pragmatic solutions. We can’t wait until 2025 to scramble to report on SDG progress. National Statistical Offices and other planning ministries, departments or agencies at national and sub-national levels must move quickly to define priorities that envisage citizen’s aspirations; initiating relevant policy, legal, and economic reforms (while the political will lasts) in order to entrench the SDGs in formal government processes. It’s also time to reach out to other arms of government and entities that hitherto have not been sufficiently engaged. These include parliaments, local authorities, sub-national governments, national audit offices, and judiciaries. These institutions will play a critical role in mobilising resources, implementing, and exercising oversight over the SDGs promises. In Africa, however, we recognise the need for significant investment into major reforms to restore credibility and strengthen the capacity of these institutions to play their rightful role. Reforms are needed at every level to create genuine frameworks for more structured and predictable engagement. We must also create safe spaces for candid engagement with governments that builds trust for longerterm mutual collaboration. At the same time, civil society has to work harder at the national level to strategically engage and target decision makers and missions before they arrive at major international conferences and forums. The existing space must be defended at all costs, while going back to the basics to draw legitimacy from the millions of ordinary citizens across the world. Realising impact from the SDGs will be difficult in the absence of good quality, timely, accurate, highly disaggregated and useable data. Citizens will need data converted into useable and contextualised information, presented in languages they can best understand and use. Partnerships will be critical to ensure a fully functional ecosystem of data users and producers at the community, sub-national, national, regional, and global levels. To address this need, the Global Partnership for Sustainable Development Data (GPSDD) has been formed to support multi-stakeholder data initiatives to harness the power of data for achieving the SDGs. The GPSDD is catalysing action for mutually benefitting collaboration among diverse stakeholders. Ask me about any other open initiative seizing the moment and openly reaching out to multiple stakeholders across the globe in an atmosphere devoid of bureaucracy to harness the “data revolution” and I will point to none. Well-meaning partners and critics with innovative ideas need to join others to share their perspectives and collectively catalyse actions that will deliver results. Similar partnerships must emerge at the national-level to make it all possible. The rapidly shrinking space for civil society and other development actors to operate should worry us all. Disguised in narratives on transparency, accountability and openness are numerous incidences of narrowed civic space and widely documented impunity with which civic actors and human rights defenders are crushed by their own governments. How do these same governments deliver on their promises of sustainable development if they trample on the rights of those who entrust them with power and resources? At CIVICUS we continue to strongly advocate for improved civic space and the strengthening of civil society for citizen action. If governments are to hold their SDG promise to “leave no-one behind” they must create an enabling environment for citizens to prosper and contribute meaningfully to governance and development processes in the post-2015 era. Through DataShift we continue to work across regions with multiple stakeholders to contextualise the Global Goals through direct support, improving the credibility and coverage of citizen-generated data, and drawing on multiple sources of data to monitor implementation and progress on SDGs; while creating replicable models, facilitating engagements, and sharing learning. We currently have a special focus on collaboration at the sub-national level in our pilot countries (Kenya, Tanzania, Nepal, and Argentina), and through partnerships support other initiatives across the world. We invite you to subscribe to our DataShift newsletter so that we can update you on our efforts, learnings, and opportunities to share and learn from our DataShift community! The DataShift team is looking for someone to help us support the efforts of civil society to leverage their use of data and technology for social good. If you’ve been looking for an opportunity to apply your knowledge and network of data and tech for good, this might be the job for you! The Data Capacity Support Specialist will be responsible for coordinating direct support to selected partners in three pilot areas (Argentina, Kenya+Tanzania and Nepal) on a variety of different, partner-based technology needs. These can range from usability analyses of traffic apps to the implementation of mobile data collection platforms, policy assessments and training on any of these topics. The position will be working very closely with the Direct Support Coordinator of the engine room for an initial 3 month period, during which knowledge transfer will be paramount. Thereafter, this person will be embedded within CIVICUS. For more information on this position and how to apply, visit this job posting on the CIVICUS website. 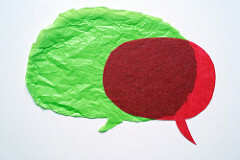 This article is cross-posted from the Global Partnership for Sustainable Development Data blog. A lot has happened since the UN Secretary-General’s High Level Panel on Post-2015 coined the term ‘data revolution’ in 2013, describing the need to harness the exponential increase in the volume, quality, and sources of data to successfully deliver the new sustainable development agenda. In particular, we’ve seen an international group of experts put forward its vision for mobilising the data revolution, along with the Cartagena Data Festival where ideas, innovations and partnerships for the agenda were further fostered. But it is the launch of a new Global Partnership for Sustainable Development Data which represents the most substantive effort yet to see the data revolution move from a concept to a reality for stakeholders across the world. Following its launch back in September of 2015 during the annual meeting of UN General Assembly, the diverse group of governments, international institutions, civil society organisations, businesses, academics and myriad of other actors involved in the Global Partnership have been busily working to define what it aims to achieve, and have now put in place many of the structures and activities required to get there. Poor data is an important factor in bad decision-making and weakens accountability, thereby limiting our ability to tackle pressing issues such as poverty and hunger, environmental protection, and humanitarian crises. One of the main ideas behind the Global Partnership, therefore, is the need to better link the growing number of data producers and users to provide us with the detailed, comprehensive information required to effectively drive sustainable development forward. Recognising that no single stakeholder can propel progress alone, the Global Partnership wants to foster unprecedented cross-sectoral coordination and collaboration across the full gamut of sustainable development actors, from citizens to statistics professionals. It will do this by convening large and specialised events and initiatives, pushing for solid political commitments and action, coordinating capacity building efforts, mobilising new resources and facilitating peer learning, as well as promoting and helping to scale up innovations. Several distinct but closely linked working groups are driving these activities forward, with the support of a small secretariat hosted by the UN Foundation. Why is the Global Partnership a good thing for civil society? New technologies offer exciting new ways for citizens and their organisations to generate and use data in democratic and creative ways. The Global Partnership can provide them with a mechanism for both navigating through and benefiting from the Data Revolution. It can directly support citizens and civil society to become more effective, more coordinated data generators, as well as helping to ensure that this data is actually used to empower individuals and influence decision making on sustainable development. Civil society are also huge users of data – increasingly using it to drive advocacy, accountability and programming efforts. The Global Partnership can help civil society unlock more resources to build their capacity to do this. It will also provide civil society and other non-governmental data producers with unique opportunities to collaborate with national statistical offices and feed into official SDG monitoring efforts. Civil society also has an opportunity – by engaging as a valued and equal stakeholder in the Global Partnership – for continuing to push for data to be open and accessible to all. These are certainly big aspirations and there’s much work to be done before civil society organisations will begin benefitting from these efforts. 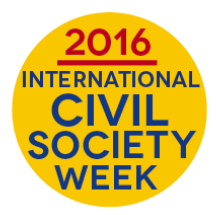 To help ensure civil society has an equal seat at the Partnership’s highest decision making table, CIVICUS has pledged to be an anchor partner in this process and will therefore be working via DataShift and other linked efforts, such as a global consultation (including an event at ICSW 2016 in April), to ensure that civil society and citizen-generated data are recognised as integral components of the data revolution and those producing it receive the necessary support to build upon and better coordinate these efforts. The Global Partnership must resonate with civil society at all levels – national, regional and global – so that civil society becomes an active and invested partner. CIVICUS will therefore be engaging with organisations from far and wide on the Global Partnership, also helping to identify additional civil society partners to come on board. For more information, including how to get involved in the Global Partnership please contact our DataShift’s focal point for the GPSDD, Jack Cornforth, at jack.cornforth@civicus.org.